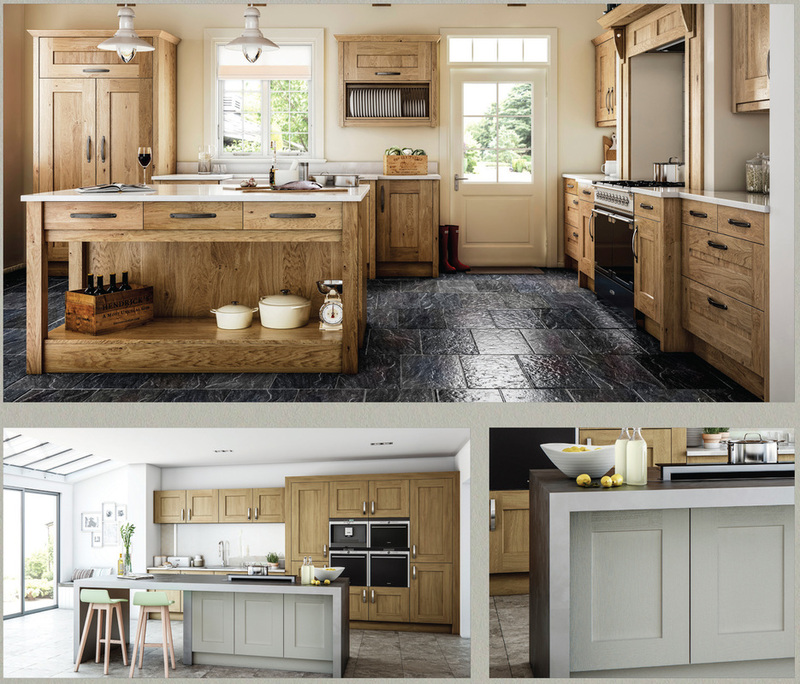 The Grove, a solid oak wood door with the option of a knotty oak for a more natural and characterful appearance. With every door being individual with character. 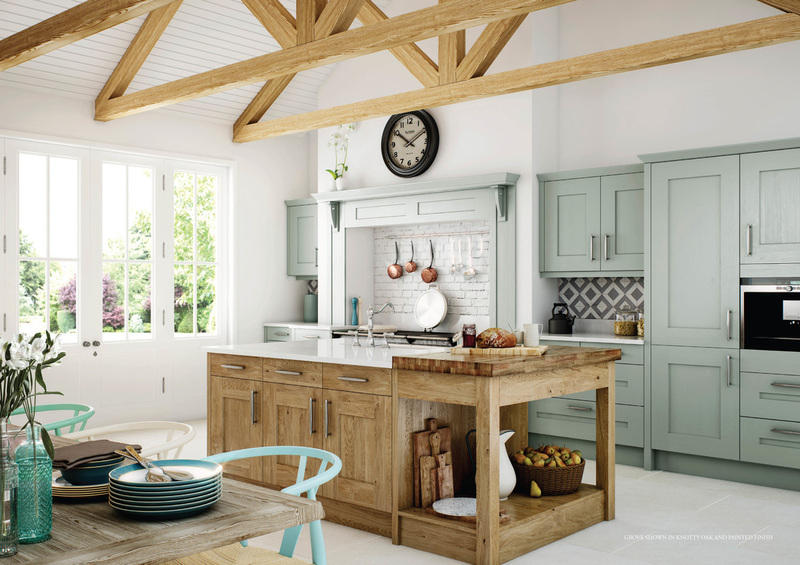 A stunning looking kitchen for those that love the rural, natural look. A classic farmhouse kitchen. 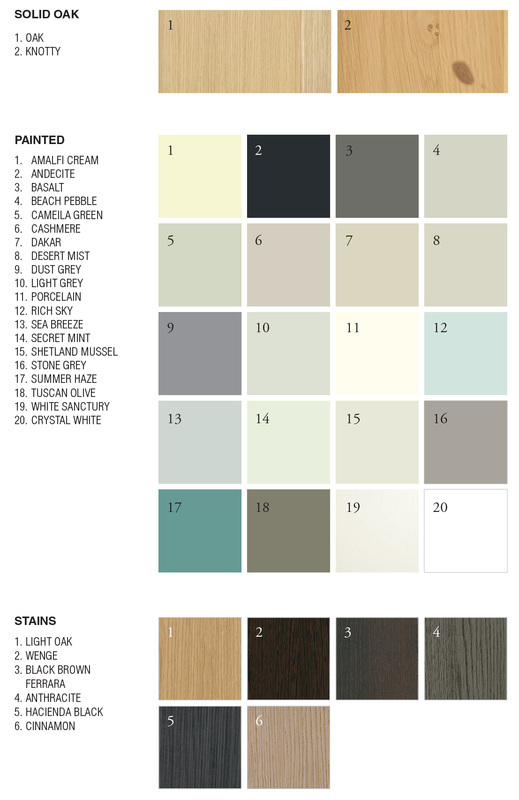 This beautiful door is also available in individual paint colours. We operate on-line only to keep our overheads down and pass these savings directly on to you. We design and install fitted kitchens in Telford ~ Shrewsbury ~ Wolverhampton ~ Newport Shropshire ~ Stoke on Trent ~ Stafford ~ and all surrounding areas. We can cover nationwide by request, please contact us for details. Ex display kitchen now for sale!!!! White handleless, top of the range, contact us now for details, or see our Facebook page. Ask a question of our kitchen designer, for the best quality luxury modern kitchen. So don't delay book your design appointment now, and see what we can do for you.